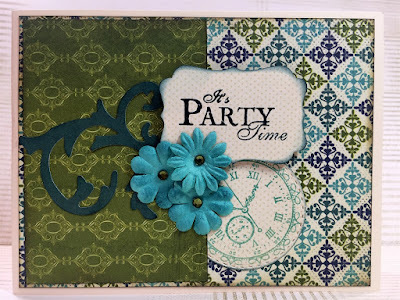 Blog Quick Quotes: Cards Inspiration with Alicia! Good morning! I hope everyone had an enjoyable holiday weekend. I know it went by way too fast! Alicia posting some inspiration for our September Challenge. The theme this month is Feature Embellishments. I took a cue from Martha Lucia and used lots of different embellishments. 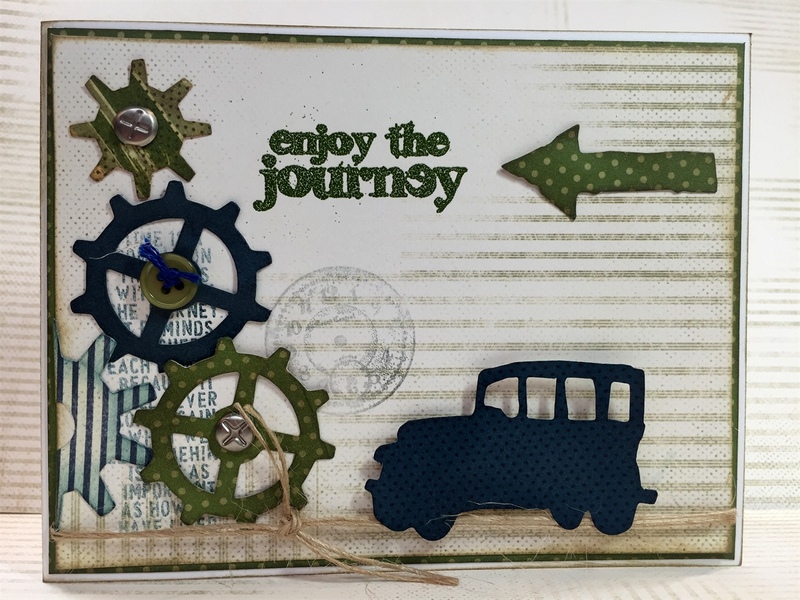 On my first card, I used brads, twine, and a button with floss. Not to mention the die cuts I created with all the great prints from The Earth, Wind and Fire collection only available at the Quick Quotes Private Reserve and Mini Reserve. Like Martha, I used some stamping on my card. As always, I inked all my edges with PowderPuff Chalking Inks. My second card has a more feminine feel with some flowers and bling added. I inked the edges of my flowers for more dimension. I used plenty of punches and die cuts on this card as well. I also stamped and embossed the clock face and sentiment. I hope I inspired you to play along with our September Challenge Feature Embellishments!